With all the bad stuff that the internet is in an uproar about, there were some improvements made. My battery life is better. With the app open, my phone isn't dying after 30 minutes anymore. Logging in is much faster. There's more variety of Pokemon "nearby". I can't find any of them, but apparently they're there. That being said, the good definitely does not outweigh the bad. As a developer, I understand the having to take a step back in order to take two forward, but the lack of transparency seems to be the big problem. "Be sure not to eat too many fatty foods to often when playing Pokemon Go." "Don't walk through known gang territory when playing Pokemon Go." "Don't juggle chainsaws with one hand whilst playing Pokemon Go with the other. 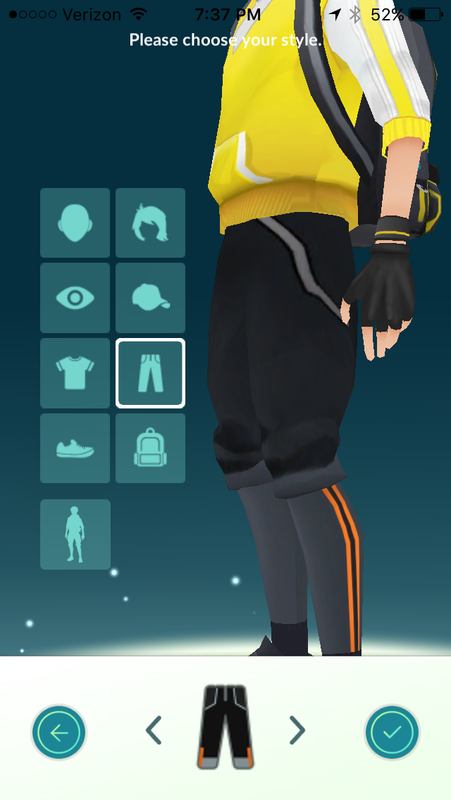 (Unless you are a trained professional)"
Who is team orange and why are there no striped pants for Mystic and Instinct? I agree with the improvements, but am not impressed with their solution to remove the 'leaf rustle' when creatures are nearby. Orange is the secret "Team Julius". There are no pants for Mystic and Instinct because they didn't think anyone would be whack enough to not choose Valor! That being said I'm wearing the blue jacket on Valor because the red one is lame. Team Orange Julius all day. Still hate the weird visors though. Yeah I'd also like to change the hair. But I'd like to track Pokemon first. Then get a haircut.